At this point in the summer, we've covered swimsuit trends a good deal. We've shown you just how chic wearing a belt over your swimsuit can be, which are the best swimsuit trends for shorter girls, and even tested out our favorite swim brands so you can see what they look like IRL. But before the summer starts winding down, there's one more place you have to shop for swimsuits: Amazon. The biggest swim trends of summer 2018 are actually blowing up right now on the retailer's site—all of them for under $30. So whether you're shopping last-minute for that August vacation and realize you don't have as many cute swimsuits as you thought or you're just looking for a fun new suit to add to your collection, look no further. 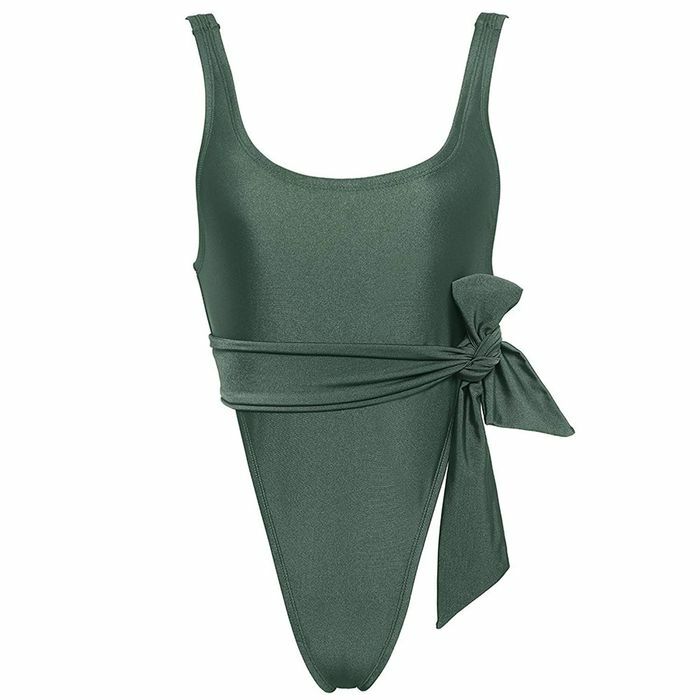 From retro high-cut suits to pretty smocking and chic leopard print, shop the best Amazon swimsuits below. Available in sizes XL to XXXXL. Next up, see which three lingerie trends are blowing up on the retailer right now.